We are nearing the end of the second of three separate creations. The first creation we know about is the one inhabited by God and the angels. The second creation is the one that we occupy presently. The third creation is the New Heavens and New Earth that will be fashioned after this present cosmos is destroyed. Sin originated not in this creation but in the previous one. Lucifer, son of the morning, sinned through pride. Subsequently, Lucifer introduced his sin into the Garden of Eden (our current creation) through Eve and enticed mankind to fall. Thus the sin of the first creation overlapped into the second creation. Likewise, but in the opposite direction, the third creation is overlapping into this present creation through the Holy Spirit. We taste of the powers of the world to come as we operate the nine gifts of the spirit. These gifts only operate here and now because the Holy Spirit makes it possible to experience a little bit of what it will be like to live in the New Heavens and New Earth. Why is this important? For one, this is a current revelation of God. Secondly, it allows us to understand why certain things are happening in this creation that violate its natural laws. Thirdly, if we have access to what is available in the next creation we should consciously seek to use these gifts to advance the kingdom of God. Some believe this scripture refers to the thousand year reign of Christ during the millennium. However, I believe that it speaks of Christ in the world to come. If this is so, then everything, right down to “wine” is made new by our Father in Heaven. This means that the New Heavens and New Earth is very much like this present creation; only without sin and imperfection. 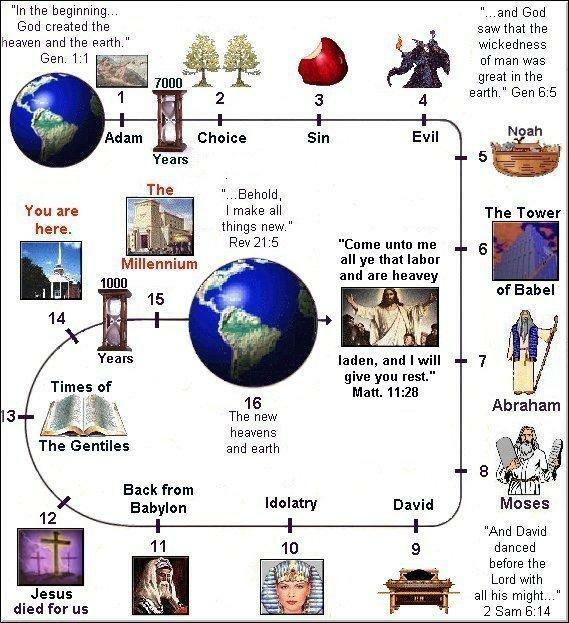 The true kingdom of heaven is in the New Heavens and New Earth. Thy kingdom come and thy will be done talks about Gods kingdom which begins in the hearts of men in this present creation but will have its physical fulfillment in the next creation. The millennial reign of Christ only foreshadows this future kingdom. Even a thousand year reign still has an ending point and therefore cannot not be called an everlasting kingdom. These truths are not borne of study nor of intellect but are merely revelations that I receive and write. Flesh and blood has not revealed these things but it is the Holy Spirit who gives the understanding and orders His scriptures so that we can understand them. I do not believe the word of God can be fully understood apart from direct revelation. We, as natural minded men and women, lack the capacity to understand the things of the Spirit without them being revealed to us through His Spirit. We cannot separate God’s Spirit from the word because the word was given through the Spirit in the first place. The understanding of overlapping creations is something that is true and found in the word but only in retrospect of having it first revealed by our Father. In the coming years this is how God will teach His elect and those who resist allowing Him to reveal “first and prove later” will find themselves left behind as others mature in Him. In conclusion, we have only begun to scratch the surface of the depths of the word of God. Gods plan is so much bigger than we have thus far imagined it is thrilling to think of how much there is still waiting to be discovered.